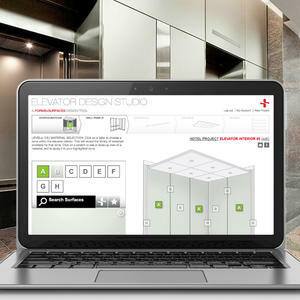 Forms+Surfaces’ new Elevator Design Studio is an interactive tool that makes it easier than ever for you to work with our products and bring your elevator interior designs to life. 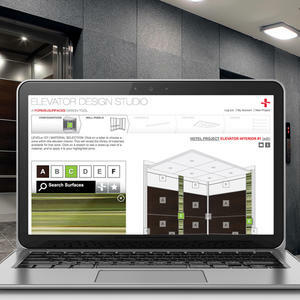 Unparalleled in its reach, the Elevator Design Studio (EDS) builds on the versatility of our comprehensive Elevator Interiors program, offers immediate access to our Surfaces, and puts design control at your fingertips. Once you’ve set up an account – a quick and secure process – you can start building and managing your projects. Within a project you can create multiple elevator interiors, note job-related details, explore design ideas, add Surfaces to your ‘Favorites’ portfolio, and save your work for future reference and use. 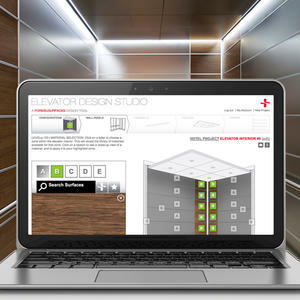 The Studio’s intuitive step-by-step format lets you choose an elevator interior configuration, apply materials and finishes from our extensive Surfaces library, view your progress in realistic renderings, and request budget pricing – all with a few simple clicks. You can literally design an elevator interior in a matter of minutes. And, because you move through the entire process without leaving the EDS, there’s no need for separate programs like PhotoShop, no need to spend additional time preparing budget pricing requests, and no need to wonder how the materials you’ve chosen might look in your finished design. Try it today. 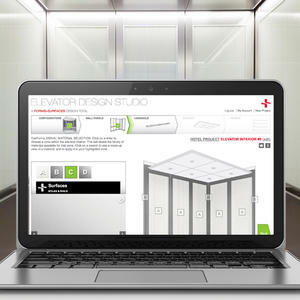 To get started, go to www.elevatordesignstudio.com.